Main question for those ones, who revealed an ailment was where it was possible to get rid of it. There are more than 10 clinics in Kyiv, which offer a treatment with using shock-wave therapy and their amount grows everyday, as well as popularity of the method. Choosing from the variety is a difficult task. In spite of it, there are objective items knowledge of which will help to be independently orientated to everyone. About that, how to do a correct choice,you can read in our article. «How to choose the clinic». Studying the offered criteria of choosing of clinic, you will pick up a few potential clinics in which you will be helped to become healthy using the shock-wave therapy. A final decision will help to accept a primary reception. It is not needed to forget that each of us is individual both in the judgements, estimations and predilections and in the medical history. Therefore in the question of health it is more expedient to listen to the official figures, opinion of professionals and own internal voice. In fact the question of trust and sympathy to the doctor matters for successfully treatment too. On a primary reception the doctor conducts general consultation and if it is necessary, he will appoint a medical inspection for diagnostics of reasons of disease. If you passed the complex of inspections and gave to the doctor their results, he would recommend the method of treatment. - filling the electronic form of record. Learn, what it needs to be taken on a primary reception. 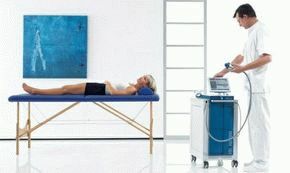 The shock-wave therapy recommended by a doctor is a next important step towards the health. Coming from the features of your disease the doctor will define the zone of treatment and will pick up the necessary amount of acoustic impulses. Individual approach in treatment is a mortgage of effective treatment. Procedure lasts for 15 - 20 minutes. A doctor will prescribe you an amount of procedures, an interval between which is 5 - 7 days. The curative action of acoustic impulses is started with the first procedure. it proceeds during a few months. Every day you feel better. you are being treated in one of the most successful shock wave therapy clinic. "Awatage" is a medical center of shock-wave therapy in Kyiv. Modern shock-wave therapy is effective at treatment more than 50 diseases. Our specialists have a large experience in application of Swiss company`s Storz Medical methodology of shock-wave therapy. We are specialized on treatment of diseases in sphere of traumatology, orthopaedy, neurology, urology, dermatology, aesthetic medicine. Shock-wave therapy, which is developed by the world famous Swiss company Shtorch Medical is a medical center "Awatage" in Kyiv. Acoustic wave is an invisible scalpel for removing calcifications and fibrous accumulations. The future of medicine is treatment without operations, medicines and side effects. Quality of treatment with using Switzerland technologies. Learn the alternative, feel the result to become healthy. 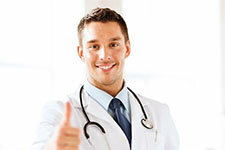 Visible and protracted success of treatment is a result of medical approach. Making of individual orthopaedic insoles. 1. The only clinic in Ukraine, which has passed the authorization of the Swiss company Storz Medical and presented as its official partner. 2. Twelve years of experience using the Swiss shock wave therapy apparatus . 3. Official collaboration and exchanging of experience with institutes in Switzerland and Germany. 4. Regular confirmed participating in home and international conferences devoted to shock-wave therapy. 5. More than 9,000 of grateful patients who have discovered the shock-wave therapy for themselves. Pensioners get discounts. A discount spreads to the relatives, friends and acquainted pensioners. I got in the center «Awatage» after one and a half years of treatment of shin fracture. A trauma happened in summer of 2011. A break was open, comminuting. Apparently, it was very difficult. After realization of operation the sufficient union of bone was not observing during 18 months instead of fixed 4th. Doctor insisted on a difficult and expensive operation in connection with possibility of formation of nearthrosis. A miracle happened after realization of 8 sessions with using shock-wave therapy in a center Awatage, Today I walk independently, conduct the active way of life. I am going to travel. Thank you for the attentive, skilled, responsive specialists.